The purpose of ATGWC transcends politics, and is actually rooted in humanity. While there are countless causes/communities/issues that are in desperate need of attention & assistance, some are more directly affected by changes in political, social and economic culture. ATGWC focuses on the six causes that we believe are most impacted by changes in the political climate. Each time the political climate shifts, the six causes served by ATGWC will experience a quantifiable impact. With regard to the 2016 election, the six causes will be negatively impacted. Below is an explanation as to why it is with great conviction that ATGWC will tirelessly keep fighting for: Children, Disability Rights, Immigration, the LGBTQ Community, Racial & Cultural Equality, and Women’s Rights. Children are the future of our nation, and therefore America's future depends, almost entirely, on people too young to even know of the challenges faced by families across the country. Currently, 31 million (yes, 31,000,000) children live in, or near, poverty. While financial security is not a requirement for success, children living in poverty are subjected to many obstacles, making it exponentially more difficult for them to live up to their fullest potential. Whether it be advocacy for high quality education for all children, or creating comprehensive after-school programs, now, more than ever, we must continue advocating for our children. The future of our nation depends on it. 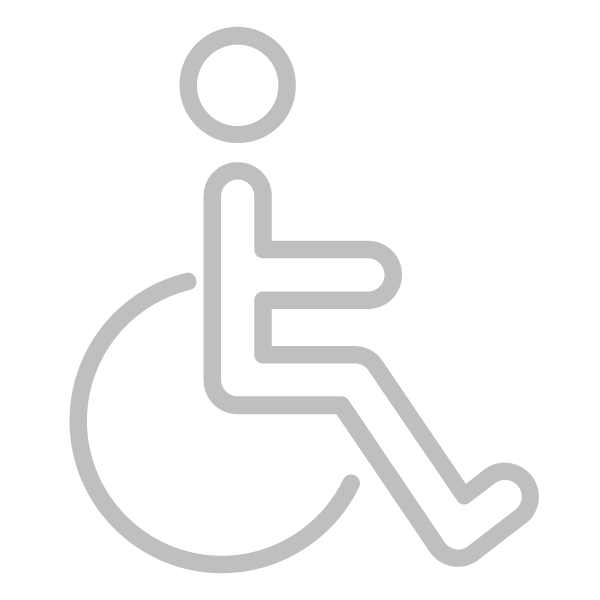 Approximately 15% of the world's population lives with a disability. Unfortunately, Americans with disabilities are one of the largest minority communities in the United States. Americans with disabilities encounter substantial hurdles that often prevent them from living up to their fullest potential. Over 25% live in poverty, over 80% have not gone to college, and nearly 75% are unemployed. Americans with disabilities are often denied basic human rights. Living with a disability in America has profound effects on these individuals both socially and economically. The social and economic limitations, however, are not the product of limitations imposed by the disability. Instead, they are the result of a culture that excludes, segregates and institutionalizes these Americans. We must continue to fight for people with disabilities, remind them of their value, and show them that they are equal. The United States is a nation built by immigrants. Unfortunately, U.S. policy often ignores the fact that every American's heritage traces back to a foreign nation. Through record high numbers of detention and aggressive deportation removal tactics, the U.S. government continues to threaten civil liberties. The immigration system relies on unnecessary tactics and is unconstitutionally void of basic rights. Millions of immigrants in America are contributing to our economy, while continuing to live in fear that, at any moment, the safety and security of their family may be at risk because of profiling on the way they look or sound. In order for the United States to remain a prosperous, respectful democracy, it must be just that: United. Sexual orientation and gender identity continue to be the motivation for exclusion, violent crimes, and acts of hate. 65% of LGBTQ Americans experience discrimination regularly- with 50% of such discrimination occurring in the workplace. LGBTQ students are twice as likely to be physically assaulted while in school and 74% have been verbally harassed because of their sexual orientation. Yet, despite these staggering statistics, 31 states do not have non-discrimination laws that are inclusive of the LGBTQ community. Lesbian, gay, bisexual, transgender and queer Americans will not be equal, nor free, until they are safe from bias-motivated hatred. This necessary safety will not be ensured until the laws across every city, state & town demand such. It is no secret that there has been a staggering increase in the number of hate crimes motivated by race, religion and culture. Hate crimes against Muslim-Americans are more prevalent now than after the terrorist attacks on 9/11. African American men continue to live in fear as they are disproportionately targeted by police. Our criminal justice system has threads of systematic racism. Thus, the unfortunate reality is that race still plays a significant role in determining who gets ahead in the United States. After years of under-investment, these communities are plagued by inequities, imprisonment and education systems that have failed them. As a nation, we must break down the barriers holding these communities back so that every American has access to the opportunities they deserve. Women's rights are human rights, and human rights are women's rights. Yet, women in America still do not receive fair and equal treatment, and their rights are too often shifted from a human right to a political pawn. Equal pay, comprehensive healthcare, protection from sexual assault, and the ability to make their own choices concerning their bodies, careers and lives are not just women's issues- they are American issues. These issues affect not only every American, but also have profound impacts on the national and global economies. But even more importantly, issues regarding women's rights define the integrity of our country, because it is true that "you can judge a nation, and how successful it will be, based on how it treats its women and its girls."